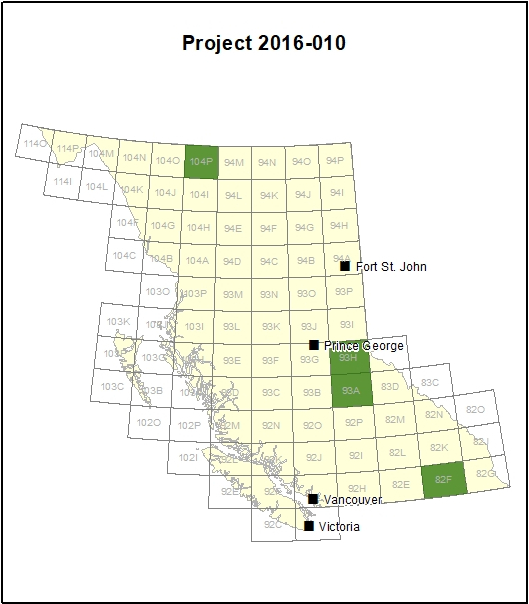 This project explores and explains the origin of the rich gold deposits in the eastern Cordillera of British Columbia, including the Cariboo gold district near the historic mining town of Barkerville, as well as the Cassiar and Sheep Creek gold districts. Stimulate on-the-ground exploration activities that could lead to new mineral discoveries. Orogenic gold deposits in BC tend to occur in two main tectonic belts; the Bralorne-Pioneer mining camp and the ‘eastern Cordilleran gold belt’, which includes the Cariboo Gold district, Sheep Creek gold camp, and the Cassiar gold district. The Cariboo gold district in east-central B.C. is famous for its more than 150-year history of gold discovery and production. Several million ounces of alluvial and lode gold have been mined from the surrounding region, with the majority of gold production came from the Wells-Barkerville camp. The Cassiar gold district is located in the Cassiar Mountains of north-central BC, near the settlement of Jade City and a few kilometres southeast of the former asbestos-mining town of Cassiar. The district has produced over 100,000 ounces of alluvial gold in over 140 years of placer gold mining, and at least 350,000 ounces from bedrock sources that have been exploited sporadically since the 1930s. The Sheep Creek gold camp is 12 km southeast of the town of Salmo in the Kootenay region of southern BC. The camp is part of the broader Salmo mining district, in which mineral occurrences represent a variety of commodities, deposit styles, and mineralization ages. The project identified several features in the rocks that will help guide explorers toward mineralization, particularly predicable geometries of veins that could point toward areas of potential high mineralization. Also, they identified several rock units that are potentially more likely to contain gold mineralization.